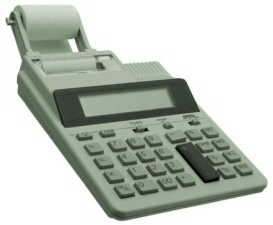 Your mobile accountant. I come to you! Fiona Wills Accountancy Services Ltd manage the business and personal accounts of a number of clients in Lancaster and the surrounding area. Run by myself, Fiona Wills, I offer a personal and professional accountancy service tailored to your needs. I complete book-keeping, VAT, payroll and accounts as well as personal, partnership and corporation tax returns for individuals, sole traders, partnerships and limited companies. I know your time is important and as a Mobile Accountant, I come to you for meetings and to collect your paperwork, rather than the reverse, thus freeing up your time to concentrate on your business. If you're looking for an accountant who prides themselves on meeting your requirements and giving the very best advice and information, give Fiona Wills Accountancy Services Ltd a call. I am an ACCA qualified chartered accountant with a personal and flexible approach to my accountancy practice, including a Mobile Accountant service in Lancaster and throughout much of Lancashire. To read more, please take a look at the About Me page. A number of Testimonials are available on-line. If you would like specific references from the Lancaster area, please ask. Fiona Wills Accountancy Services Ltd offer Mobile Accountant services to companies, individuals and organisations in Bolton-le-Sands, Carnforth, Galgate, Glasson Dock, Halton, Heysham, Kirkby Lonsdale, Lancaster, Morecambe, Quernmore, Scotforth and more! I also have many satisfied clients throughout much of the wider Lancashire area.